Steed has a disturbing nightmare - he's trudging through the snow in his pyjamas, in a weird cardboard cut-out landscape. He finds a hamper of presents and opens his - a large photograph of himself that becomes a mirror. 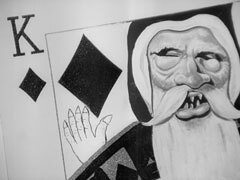 A Santa figure appears in the mirror behind him and beckons him over to his sleigh. The christmas stocking hanging over the edge become real legs wearing pyjamas and socks. 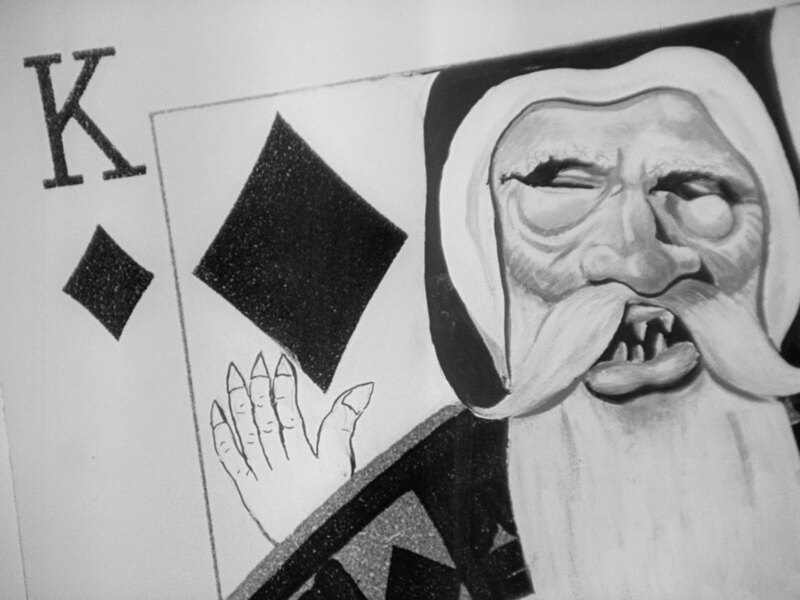 Steed sees it's a dead man and the Santa laughs out loud. Mrs Peel drops round the following morning and finds Steed apparently hung over but he declares he had a quiet dinner with a retired Rear Admiral. She's concerned and he admits he hasn't been sleeping well for the past week. He relates the dream and tells her an old friend and fellow agent - Freddy Marshall - who is linked to the leaking of government secrets ended up dead as a doornail in it. Mrs Peel blanches when she sees Freddy's photo and shows him the morning paper. "Mystery death in hotel room" it screams, followed by the subheading "Screams... then man found dead" and a photograph of Marshall. 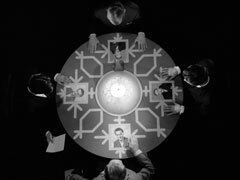 We see a seance table from above, a photo of Marshall at each place. The photos are removed, revealing photos of Steed, and the medium starts a metronome in motion. Steed falls into a sleep and is tormented by the sound of an enormous pendulum. He sees a large crenellated white house and is taunted by the Santa figure. 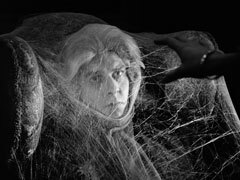 Mrs Peel rouses him - she's returned with some food and he tells her Freddy died of a brainstorm - an exaggerated nervous seizure. She picks up his Christmas cards and he opens them - one is from Mrs Gale. Mrs Peel asks him to join her for Christmas at a house party given by the publisher, Brandon Storey - she's been invited by Jeremy Wade. Steed grins and asks if Jeremy is still after her "first editions". 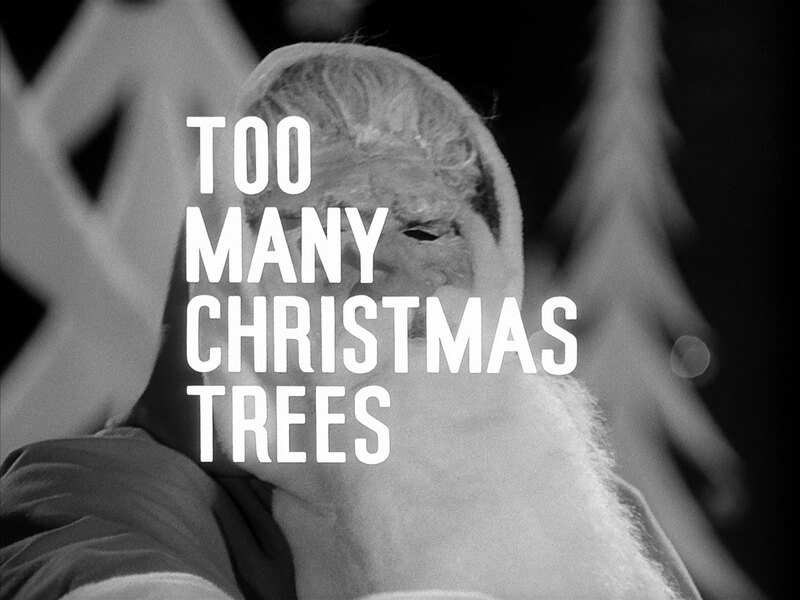 He opens the next card and it has the gift hamper and cut-out trees from his nightmare on it - but is unsigned. They drive down in Steed's Bentley, and he uncannily seems to know the way to the house despite never having been there before. They arrive and he realises it's the house from his nightmares. Jenkins (Robert James) escorts them to their rooms - and Steed sees the hamper in the middle of the great hall. They're watched by Martin Trasker (Alex Scott), who tells Jeremy Wade (Barry Warren) that they've arrived. Wade is amazed - she actually invited him! Martin smiles - that was the easy part, now they must continue the experiment to its conclusion and Janice Crane, a woman "whose powers make them look like fumbling beginners", will be joining them soon. Trasker tells Wade to forget Mrs Peel and concentrate on Steed. Mrs Peel, changed into ski pants and a jumper, enters Steed's room and notes the Dickensian furnishings - Storey's a Dickens enthusiast. Steed grumbles about getting the Old Curiosity Shop as Mrs Peel sits on the four-poster bed. "I've always fancied myself in one of these", she enthuses and he replies, "So have I". He tells her about the decorations and she's concerned. They descend to the hall where Brandon Storey (Mervyn Johns) greets them enthusiastically, barely letting them get a word in edgeways. Wade approaches and kisses Emma then greets Steed. Trasker, sensing he may say too much, whisks him away to the library; Steed spots a blonde at the fireplace and goes to chat her up. Trasker meanwhile tells Wade they will proceed with phase 2 - Steed is a tough nut and can take it; he then lies to Wade, telling him Freddy died of natural causes, it was nothing to do with them. 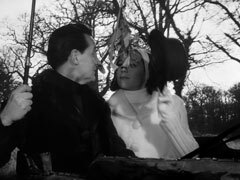 Storey is telling Steed and Mrs Peel about his travels when they're interrupted by Dr Felix Teasel (Edwin Richfield), who claims he met Storey long ago, then asks Steed if he's tired. Storey pours Steed a drink and confides that he's never met Teasel in his life. Teasel meanwhile asks Emma about Storey's Dickens collection and she says Wade would know - they enter the library and she's surprised to find no-one is there, but a statuette of Venus removing a thorn from her foot has been moved. 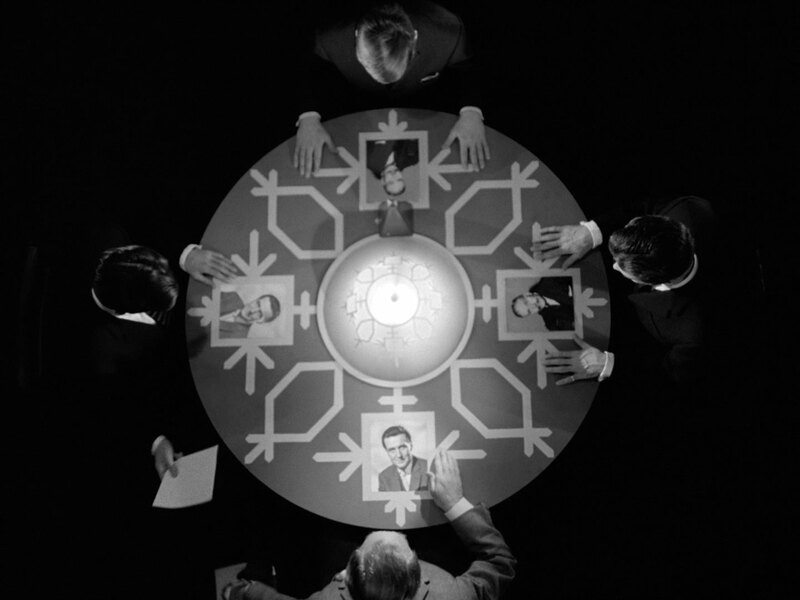 Back at the seance table, three heads pore over Steed's photo and Trasker's voice intones how tired Steed is feeling. Steed starts repeating the words Trasker is saying and excuses himself to go and have a rest. Teasel notices Emma's concern and reassures her sleep will refresh his mind. 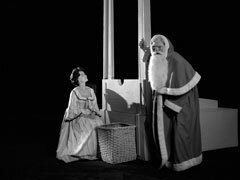 Steed, however, has another nightmare, this time finding a Sydney Carlton costume in the hamper and being taken to the gallows. 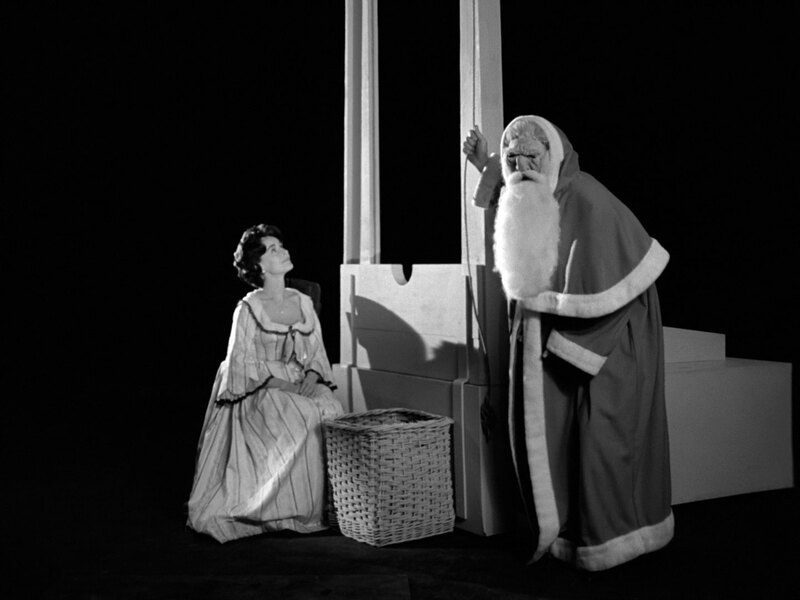 An attractive Madame Guillotine places the basket under the blade and Santa is the executioner, laughing heartily. Steed wakes when the blade crashes down, he emerges onto the landing and sees Janice Crane (Jeanette Sterke) arriving - she is the Madame Guillotine of his nightmare. He tells Mrs Peel, and rationalises the dream, noticing an engraving of Sydney Carlton on the wall. He tells her he felt "compelled" to sleep - she's interested in his choice of words and asks which secrets Marshall was betraying. He thinks he's already told her and says he told someone - she's the only person he confides in. He pauses and says, "Ah well, maybe I dreamt it". They both stop as the enormity of his words sink in. When Mrs Peel keeps the rendezvous she finds Wade dead in Miss Haversham's banquet room. 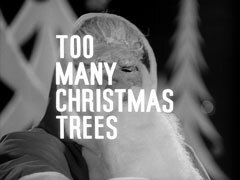 She tells Steed but he is seemingly oblivious to her and wriggles his fingers inside his empty christmas stocking - Janice meanwhile can see nothing but toes wriggling in woolen socks. She seeks out Dr Teasel but he doesn't believe her story, especially when they find Wade is no longer there. She sees Jenkins dropping pills in Steed's nightcap and says she must stop him being drugged, but Teasel pulls a gun on her, saying Steed needs a good night's sleep. He warns her not to think or talk about it - and we then see Steed lie down, the cup empty. Janice declares Steed is falling asleep and they start probing his mind. Mrs Peel then surprises Teasel and knocks him cold then rushes to rouse Steed. He "awakes" instantly and tells her he poured the drink down the sink. He then starts singing, to confuse the mediums, and tells he between verses that Teasel is from Security and Steed knew whatwas happening when he saw the trees downstairs. Furthermore, he knew Mrs Peel was being got at as well - why else did she invite him? - and they both start singing. Steed tells her he dreamt of Janice Crane, stark naked with a splinter in her foot; Mrs Peel remembers the statuette and realises where the villain are hidden. They visit the library and she turns the statuette, opening a hidden door. Inside is a hall of mirrors wherein they encounter Jenkins and Trasker. Mrs Peel defeats them then takes refuge amongst the mirrors when the Santa appears, brandishing a revolver. Steed saves her from ambush and shoots Santa, who's revealed to be Brandon Storey.